Many Boca Raton residents have a personal limit of two drinks if they plan to drive. A number of people believe they maintain their faculties after a couple drinks, and that they do not have to worry about their blood-alcohol content surpassing the legal limit of .08 percent. A recent study calls into question this type of thinking. While it might be true that limiting intake to one or two drinks will keep an average person’s blood-alcohol content below .08 percent, researchers have found that drinking any alcohol increases the likelihood that a driver will cause a car accident. The study was released last week, and its findings contradict the DUI laws in Florida and throughout the country. Every state maintains a limit of .08 percent, but this study concludes that drivers with a blood-alcohol content of just .01 percent often cause serious car accidents. A man’s blood-alcohol content can reach .01 percent before he even finishes a beer. The researchers studied crash data pertaining to more than 570,000 fatal car accidents, and learned that drinking and driving – no matter the how little the amount of alcohol – causes crashes. Drivers with a .01 BAC increase their likelihood of being found at-fault for a car accident by 46 percent, according to the study. The study’s authors also noted that .08 is an arbitrary limit. This threshold does not represent a real point at which drivers become unsafe; people reduce their driving skills when they start drinking one alcoholic beverage, and these skills continue to deplete the more they consume. The National Transportation Safety Board recently recommended lowering the BAC to .05 percent, and it will be interesting to see if either of these developments influence legislation. 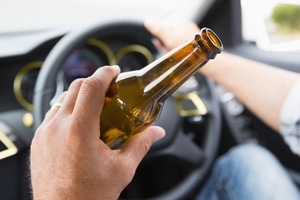 Florida residents who are injured in alcohol-related car accidents may be able to hold drivers accountable even when they do not face DUI charges. It is wise to seek legal counsel in the aftermath of such a collision.